A modern, continental style trophy with clean lines in tapered vase style design, with silver plated finish. 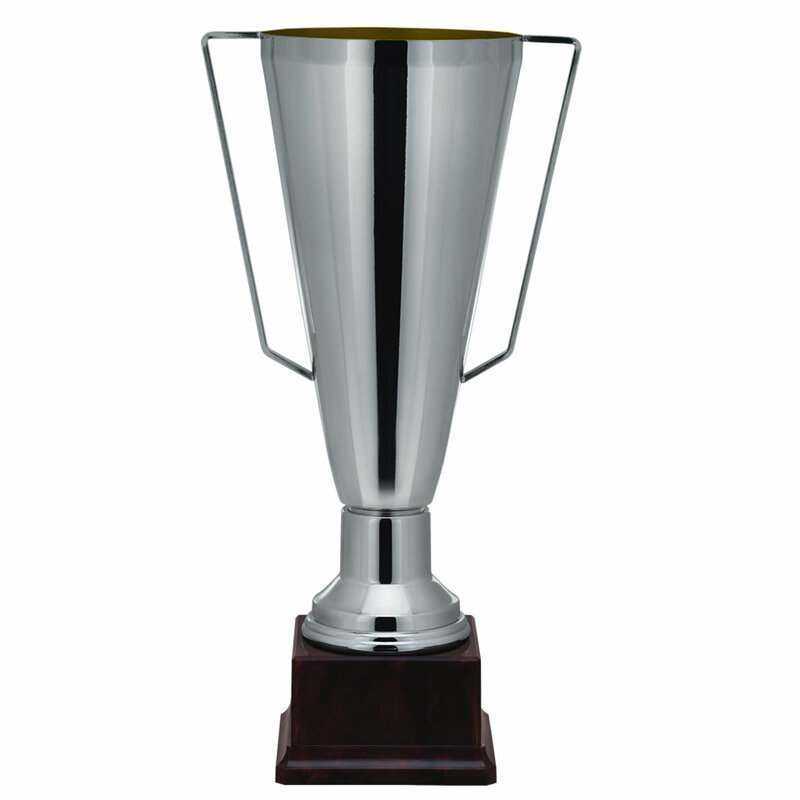 Available in four sizes, these trophies are mounted on a square shape wood effect plinth. They can be engraved on the trophy body and/or base via a plaque. 1693-3: 13.75in (35cm) height; 4.75in (12cm) dia. 1693-2: 15.75in (40cm) height; 5.5in (14cm) dia. 1693-1: 17.75in (45cm) height: 6.25in (16cm) dia. 1693-0: 19.75in (50cm) height; 7in (18cm) dia.